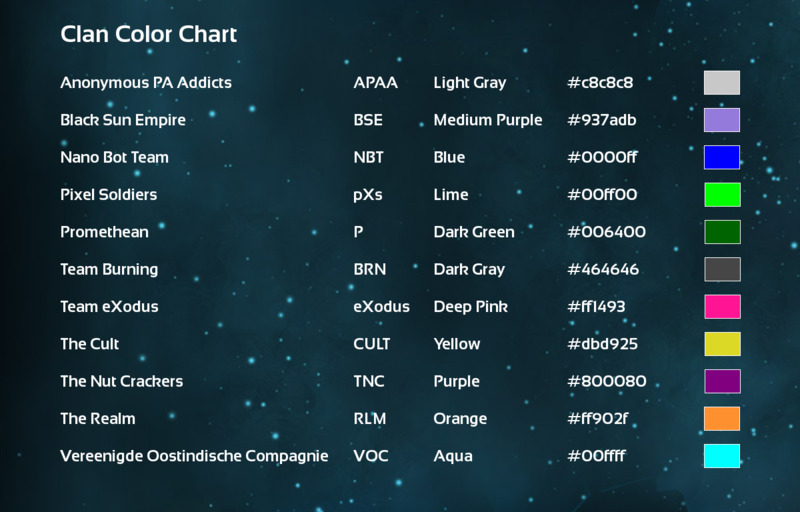 I will make a color chart at some point and post it here. Please follow this procedure from now, and hopefully we won't have any more problems with the lobby bug. 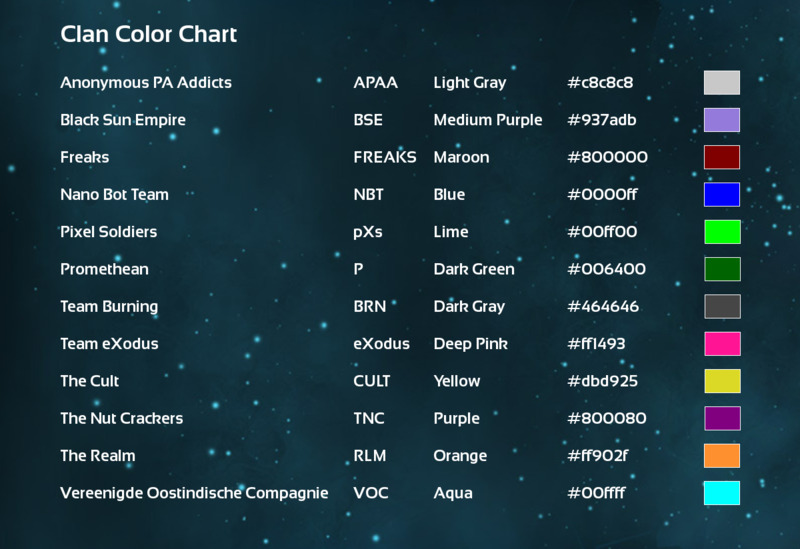 All new clans that join us have to post in this thread and pick a color that hasn't been picked yet. You cannot take a color even from a clan which has stopped participating. An inactive clan's color will become available only once we have reached the 32-color limit, and a new clan wants to come in and there's no color left for them (i.e. the 33rd clan, and every clan after it). 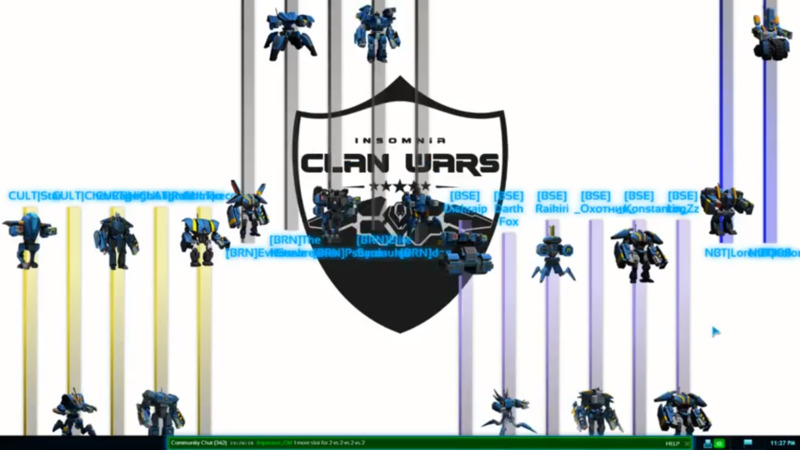 At that point, each new clan will get the color of the clan that has been inactive for the longest time, in descending order. 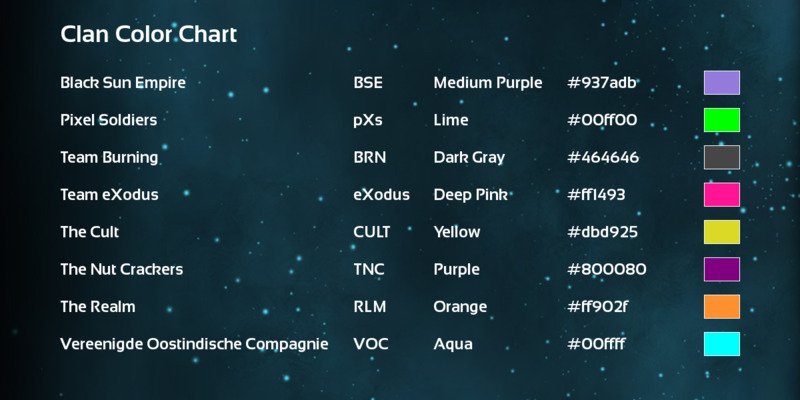 For example, Team eXodus hasn't played since CW2, so if we reach the 33rd clan and eXodus hasn't returned, the 33rd clan will have to take eXodus's pink color, and if eXodus returns at some point after that, they will have to take a color from another inactive clan in a similar manner. Or maybe we'll just make a mod to add more colors. We'll cross that bridge when we get to it. Don't bother with the color chart, I'll make it. All clans got their correct colors yesterday except us, and the reason for this is because initially I was in the lobby as a player, because I was hoping someone else would do the cast, and when I realized no one was going to I hopped to the spec slot, and screwed us up. What I should have done is asked recoil or someone else to start the procedure all over for us, but I didn't, and we got the wrong color. But we are learning, and I am hoping this Saturday everyone will finally get their correct colors. Now that you have leaderboards in the lobby sidebar, maybe you could somehow display the clan colors there too? The color chart is finished. 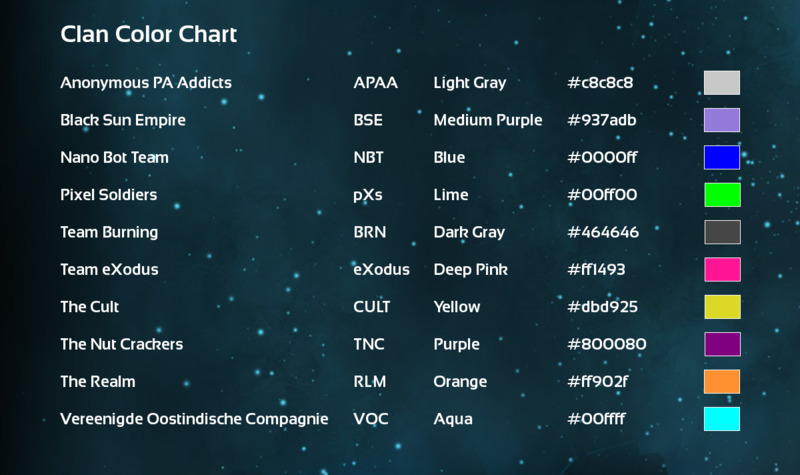 Updated the color chart following Clan Wars #8 with the two new clans that joined: APAA and NBT. mikey told us he'll probably fix the lobby colors bug at some point. That should save us a good 10-15 minutes every Saturday for Clan Wars, especially when more clans join. It's interesting that BSE picked the correct color in the lobby, and it showed up correctly in the comm screen, but not in the game. So whatever the bug is, it doesn't affect the comm screen. Robo, give us an updated color chart with Promethean when you get a moment.